Looks like things are going in the right direction for ace director Vikram Kumar. The talented director got engaged today in Chennai to a girl named Sreenidhi in a very secret manner. Only a selected few from both their families wrapped up the event quickly. Vikram had met Sreenidhi, who works with A R Rahman as a sound engineer during the music sittings of 24 and the couple have been in love since then. Latest reports suggests that the wedding will take place in September. 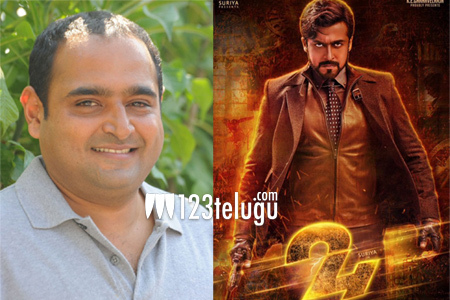 123telugu congratulates Vikram Kumar on this happy occasion and wishes him the best of luck for his future.